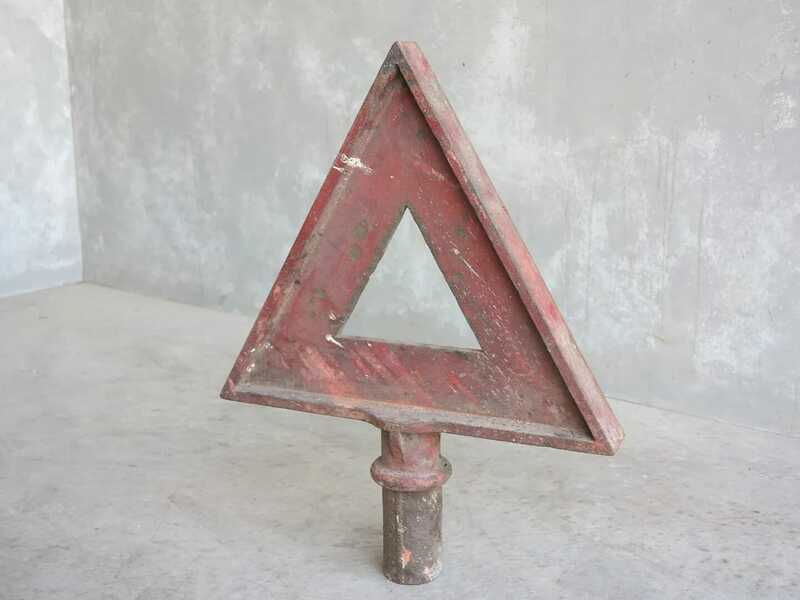 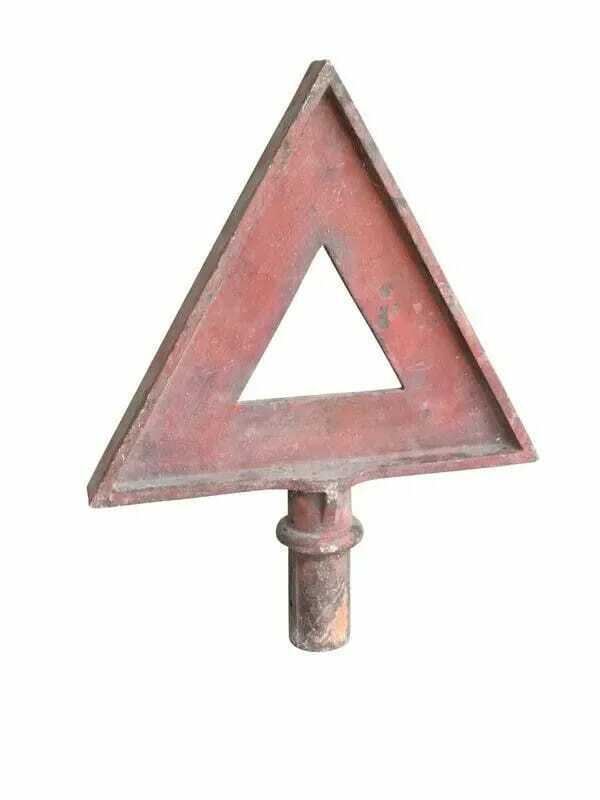 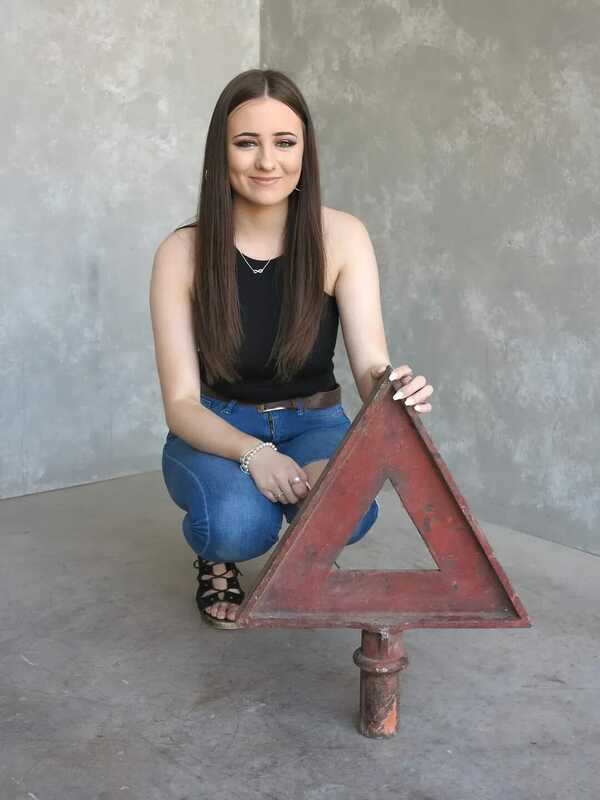 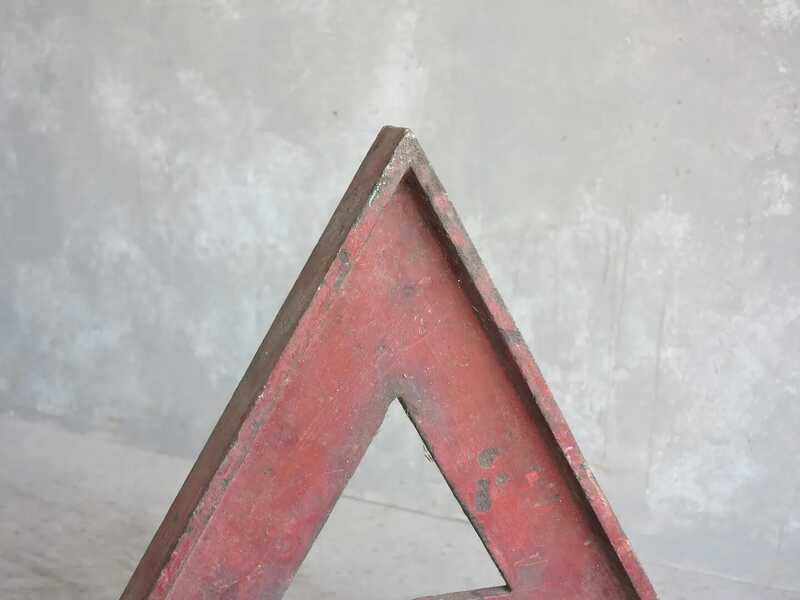 Original cast iron red triangle warning road sign. 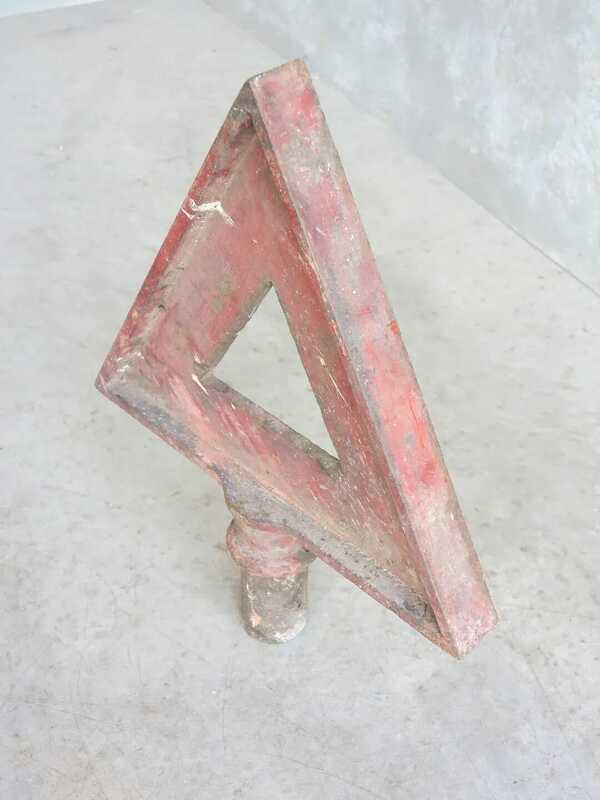 This measures: 23" Tall (Max) x 18 ¼" Wide. 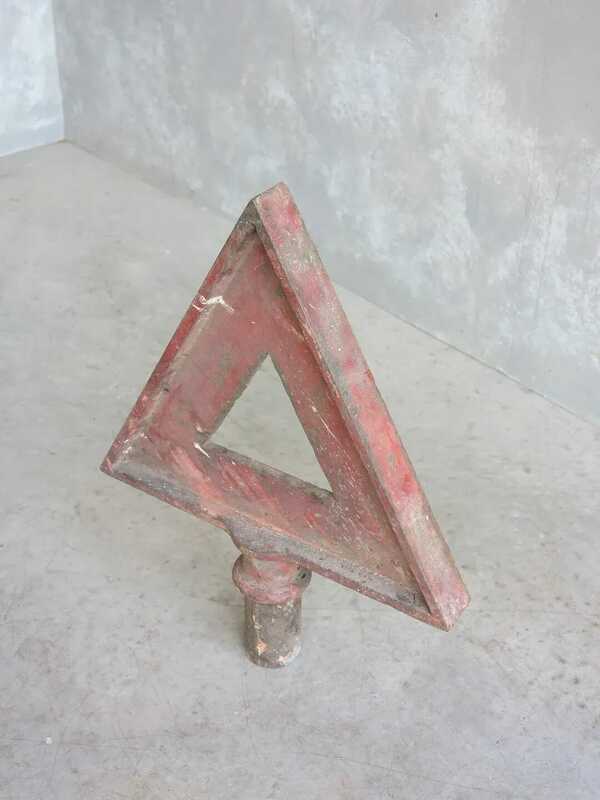 The shaft measures: 2 ½" (65mm) diameter.